This custom engagement ring is all diamond! The "shared claw" setting style of this ring minimizes the amount of metal needed to hold the diamonds in place so all you see is the sparkle! 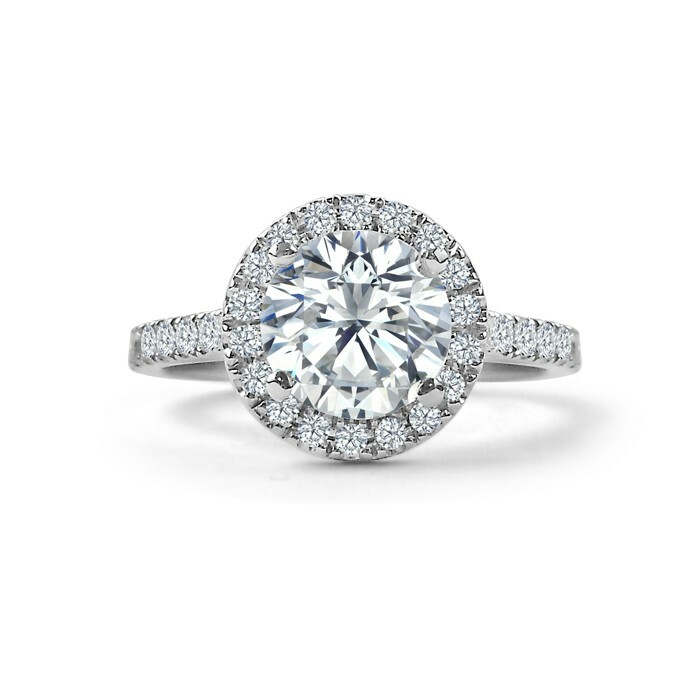 If you prefer a cleaner line to your metal, you can check out our Round Pave Halo Diamond Engagement Ring. This ring can be custom made for you in platinum, white gold, yellow gold, or rose gold with any colour diamonds or gemstone.